Since 2005, more than 215,000 girls have attended a Revolve Tour event. For 2008-2009, the Tour has expanded to 16 cities and expects to reach 150,000 girls this year alone. 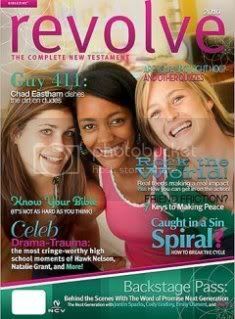 This Biblezine was supplied by Booksneeze (Thomas Nelson) for review.